The word “sweet” is used in many languages and cultures to denote an object or experience that is pleasant, nice or very much liked. In a metaphorical sense “sweetness” is traditionally closely associated with pleasantness. In the literal sense it refers to gustatory perception, or to taste impressions that result from stimulation of the taste receptors located primarily on the tongue. Although we are used to speaking about “sweet” foods, sweetness does not refer to the physicochemical composition of the foods themselves, nor to molecules of particular substances or sensory physiological processes. 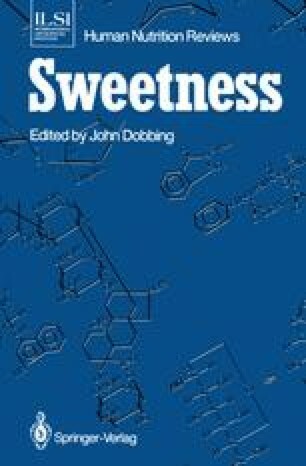 “Sweetness” is an attribute of perceived taste and therefore it is a mental concept. It is generally considered to be an element of a complex taste percept, and because it is an element it is called a sensation.